The increasing wide-spread use of wireless applications as well as the requirement for minimizing electromagnetic emissions from high performance digital systems caused a change of approach in design labs and test sites. While signal analysis in the time domain is well established, spectrum analysis is now starting to find its place on the lab bench. 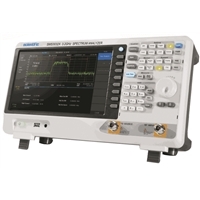 The scope of applications of a spectrum analyzer in R & D, test sites, service and EMI testing is wide. Spectrum analyzers can display signals up into the GHz range. LISN ( Line Impedance Stabilization Network) , Near field probes in conjunction with EMC software offers very cost-effective solutions to active (emission) measurement problems which allow to perform precompliance measurements.